Plan to join your Prep friends on Saturday, September 22 in the west parking lot and in the Sullivan Center from 5-10 p.m. for Preptoberfest, a celebration of 140 years of Jesuit education, reunion weekend and the formal kickoff to the 2019 AMDG Annual Fund campaign. The evening will include live music by Finest Hour, beverages, and cuisine from the Big Green Q and KGB food trucks. Attendees must be 21 years of age or older. At 4:30 p.m., be sure to join us for Mass in the Heider Center. The celebrant will be Creighton Prep President Fr. Tom Neitzke, SJ. Please register for Preptoberfest today at www.creightonprep.org/preptoberfest. See you there! Payment station workers selling drink tickets and Preptoberfest pint glasses. Volunteering at Preptoberfest is a great way to lend your time and talent to the school. Click HERE to register to volunteer! 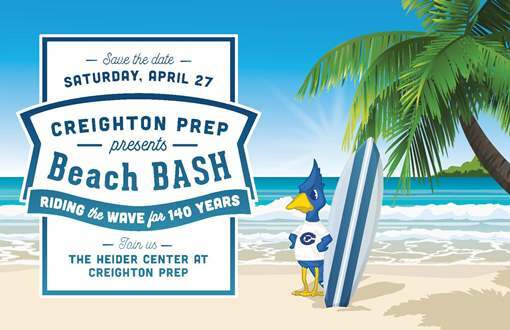 For more information on Preptoberfest, please contact Director of Alumni Relations Max Huerter ‘09 at 402-548-3851 or mhuerter@creightonprep.org. Thank you! There are many opportunities this fall for your son to be a leader on retreats taking place at our local Catholic grade schools. Campus Ministry is looking for students to act as retreat leaders for Youth Frontiers Retreats at Holy Cross School (for students at all the consortium schools) and St. Margaret Mary School on Wednesday, Sept. 19. Leaders are also needed for Youth Frontiers Retreats at Mary Our Queen School on Wednesday, Oct. 17 and St. Vincent de Paul School on Thursday, Oct. 18. These retreats take place during the school day. Additionally, leaders are needed for a Confirmation Retreat at St. Gerald’s on Saturday, September 29. If your son is interested in participating, please have him contact Mr. Dave Lawler in the Campus Ministry Office at dlawler@creightonprep.org. Run or walk for a good cause at the 16th Annual Jaywalk 5K Fun Run/Walk on Saturday, September 15 starting at 7:30 a.m. on the Creighton University campus. Proceeds from this event sponsored by the Creighton Students Union will benefit Jesuit Academy. Be sure to stay for pancakes afterward! Race day registration starts in the Kiewit Fitness Center at Creighton at 7 a.m. and costs $30 for adults and $20 for students. (The run/walk will also be held there.) Or click HERE to register online. The National Association for College Admissions Counseling (NACAC) will be hosting the Omaha National College Fair at the CHI Health Center (formerly the CenturyLink Center) in downtown Omaha on Sunday, September 16 from 1-4 p.m. Prep families are encouraged to attend, and admission is free. Click HERE for information on student registration and to see a list of participating schools. A number of college admissions counselors will be visiting Prep from September 17-20, and juniors and seniors interested in attending need to notify their teachers in advance that they will be missing class. Students are responsible for the material covered while they are away from class. All meetings except for the Catholic College Fair on Wednesday, September 19 will be held in the office of Director of College Counseling Christianne Clark. Ms. Clark’s office is adjacent to the Sullivan Center, and she will give students a pass at the end of each visit to return to class. A Catholic College Fair will be held for juniors and seniors in the Smith Atrium starting at 9:35 a.m. Students can pre-print a barcode for the event by clicking HERE. Colleges attending include Belmont Abbey College, Benedictine College, Briar Cliff University, College of St. Benedict & St. John's University, College of Saint Mary, Creighton University, Loras College, Loyola University Chicago, Marquette University, Newman University, Quincy University, Regis University, Rockhurst University, Saint Mary’s University of Minnesota, Seton Hall University, the University of Saint Mary and the University of Saint Thomas. 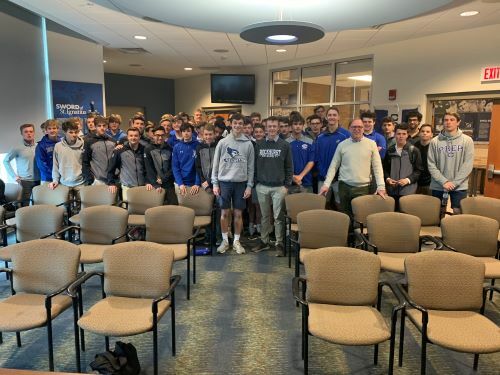 Prep parents are encouraged to attend a presentation by Licensed Independent Mental Health Practitioner Kevin Kaminski and Dean of Students Sterling J. Brown on Tuesday, September 18 at 7 p.m. in the Criss Auditorium concerning how to address the dangers of vaping and JUULing with students. Current trends related to the use of vaping and JUUL products as well as changes in Prep discipline policies will also be discussed. Senior parents, please note that the Counseling Office will be sponsoring Coffee and Conversation for Senior Parents in the Carta Hall of Fame Room on Wednesday, September 19 from 1-2 p.m.
Counselors will be present to answer any questions you have about the college application process, college scholarships or paying for college. Senior parents, please let your sons know that, if they would like some concentrated time to work on college applications and receive assistance, Director of College Counseling Christianne Clark will be holding an application help session on Friday, September 21 from 1-3 p.m. in the computer lab. Seniors may attend for part or all of that time and get their questions answered. The EducationQuest Foundation is sponsoring the Omaha Area College Fair on Sunday, September 23 from 1-4 p.m. at the Lee & Helene Sapp Fieldhouse on the University of Nebraska Omaha campus. Students can get a barcode for the event HERE. Director of Student Advocacy and Outreach Allen Burrell Jr. will be hosting Multicultural Family Night in the Sullivan Center at Creighton Prep on Thursday, September 27 from 6:30 to 7:30 p.m., and parents and students of underrepresented groups are encouraged to attend. At the event, attendees will learn about the academic programs, strategies for success, and the academic, personal and college counseling resources available at Prep. To confirm your attendance or to get additional information on Multicultural Family Night, please contact Allen at 402-548-3847 or aburrell@creightonprep.org. Register now for the annual Men for Others Golf Classic that will take place on Monday, October 1 at the Shadow Ridge Country Club. This is always a great occasion that helps raise money for need-based assistance to qualified Prep students. The format will be two-player best ball. 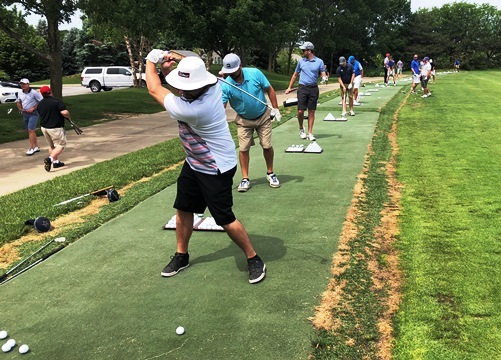 Check-in/driving range begins at 10:30 a.m. followed by a 12:30 p.m. shotgun start. The individual golfer fee is $400. Click HERE to register. 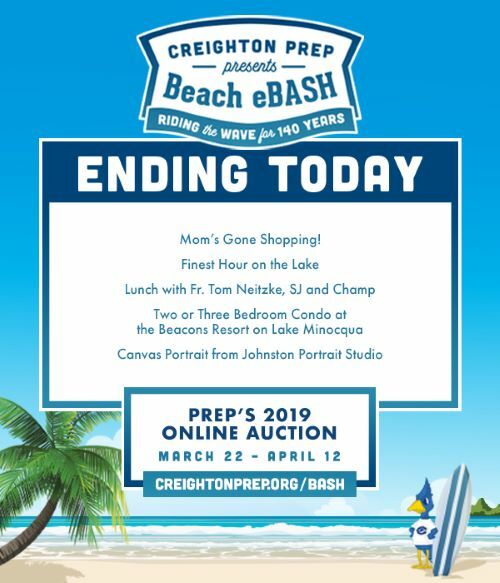 If you would like to help sponsor the event, please contact Director of Alumni Relations Max Huerter ’09 at 402-548-3851 or mhuerter@creightonprep.org. 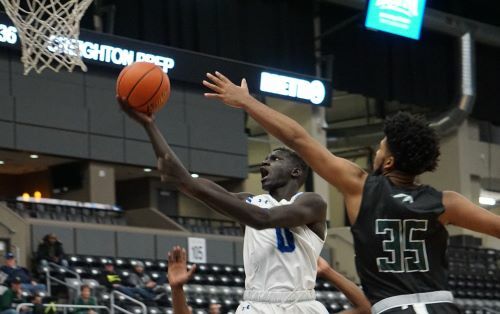 Creighton Prep and Marian High School are working with Lutheran Family Services to host a refugee simulation on Monday, October 1 from 5:30-7:30 p.m. Participants will meet in the Commons at 5:30 p.m. for a simple meal and then will participate in a simulation that will take place in several stations throughout the school. Members of our Omaha community who are refugees will be sharing their stories at five different stations throughout the school to help participants understand the five different stages of being a refugee. The evening will conclude by 7:30.p.m. Students from Prep and Marian will be participating, and they do not need to sign up ahead of time; they should just show up. If you have questions, please contact Mr. Dave Lawler in the Campus Ministry Office at dlawler@creightonprep.org. Haven't got your tickets yet for Creighton Prep Sports Night? Tickets are going fast for the 27th annual event on Tuesday, October 2 when the school welcomes former Notre Dame national championship football coach and College Football Hall of Fame member Lou Holtz as the featured speaker. One person from each sponsor table is invited to a private cocktail reception with Lou Holtz and will receive a gift and preferred seating at Sports Night. Click HERE to download the invitation, which contains a registration form you can complete and return with your payment. If you have any questions, please contact Grace Cominoli at 402-548-3881 or gcominoli@creightonprep.org. Thank you! Tickets for the event are $60 per person, and, that night, the cocktail reception begins at 6 p.m. followed by dinner at 7 p.m.
Click HERE to see the names of former honorees. Prep moms, if you would like to spend a day celebrating friendships and having fun shopping with your girlfriends, sign up for the 9th Annual Ladies Bus Trip on Thursday, October 25! approximately 7 p.m. Cost is $125 per person. Your hosts for the day are Juliet Brown, Mary Gordon, Jen Holl, Ann Mausbach, Dawn Neujahr and Kara Spitzenberger. This trip has proven to be a memorable day that has created many new friendships. Click HERE to sign up today! Congratulations to seniors Samuel Atkins, John Doran, Colin Duffy, Samuel Forrest, Christopher Lin, Matthew Muellner, Daniel Noon and Matthew Rowe on being named Semifinalists in the National Merit Scholarship competition. This is a prestigious honor awarded to a select number of students across the country in recognition of their outstanding academic achievements. According to the National Merit Scholarship Program site, approximately 1 percent of the 1.6 million students involved in the competition are named Semifinalists. Finalists will be named in February then a smaller group of those will be announced in the spring as scholarship recipients. Cornhusker Driving School will be holding a driver’s education class for Creighton Prep students on October 19, 20 and 21 from 8 a.m. to 3:30 p.m. at their facility at 3101 North 108th Street next to the Family Fare supermarket in the Maple 108 Shopping Center. Cost is $390. Click HERE for more information on the Creighton Prep Teen Class and HERE to register. An individual is seeking to open a controversial adult entertainment club with daytime hours called the Candyland Bikini Bar at the southwest corner of 72nd and Blondo streets. Due to the nature of the business and its close proximity to Creighton Prep, St. Pius X / St. Leo School as well as businesses frequented by young people and families including Burger King, Dairy Queen and McDonald’s, the school communities of Prep and SPSL are strongly opposed to its opening. A Nebraska Liquor Control Commission hearing on the application for a liquor license will be held in room 1510 of the Nebraska State Capitol building in Lincoln on Wednesday, October 10 beginning at 9:30 a.m. If you would like to attend the hearing, consider driving yourself or joining a carpool. For information on carpools and a bus that will leave at 8:15 a.m. from the parking lot just east of St. Pius X / St. Leo School and to sign up, click HERE. Please contact Becky App at with any questions at Beckyapp24@gmail.com. If you cannot attend that day and would like to express your opinion on the matter in advance of the hearing, you can submit a protest email opposing a liquor license for Candyland Bikini Bar located at 7215 Blondo St. Omaha, NE 68134 by sending it to Senator Theresa Thibodeau (District 6)* at tthibodeau@leg.ne.gov. Senator Thibodeau has offered to submit citizen emails into evidence at the hearing. Concerns related to crime and safety, the concentration of children in the area, parking and traffic, economic and other impacts for surrounding businesses and property values, etc. could be compelling additions to a protest email. *The Catholic Church is non-partisan and does not endorse nor oppose particular candidates for public office. The Catholic Church does encourage Catholics to communicate the values of our faith in the public square and to our elected officials. Bundle up for the cooler fall weather with a great selection of vests, hoodies and long sleeve shirts now in stock at the Jay Mart! 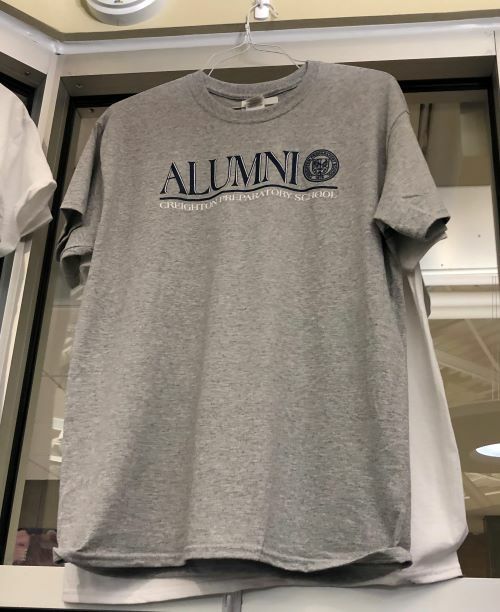 The Jay Mart hours are 11 a.m.-1 p.m. every school day, and the store is located in the Smith Atrium, just outside the main entrance to the Heider Center. Students are welcome to shop the Jay Mart during their lunch period, and parents may visit the store by entering the building through the Administration entrance next to the east parking lot. To keep up to date on all the happenings at Creighton Prep, bookmark our homepage, like us on Facebook and follow us on Twitter!